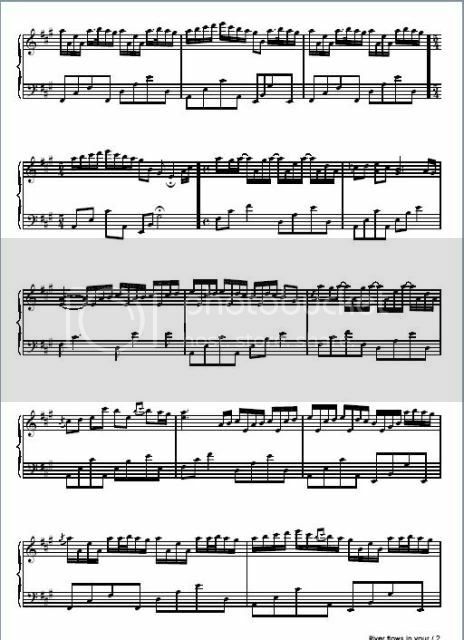 This is something I was working on during my free time. The burnt edge: I had to use one hand using a lighter to burn it and the other hand holding a spray bottle full of water to spray on the fire (the smell of it, stinks). 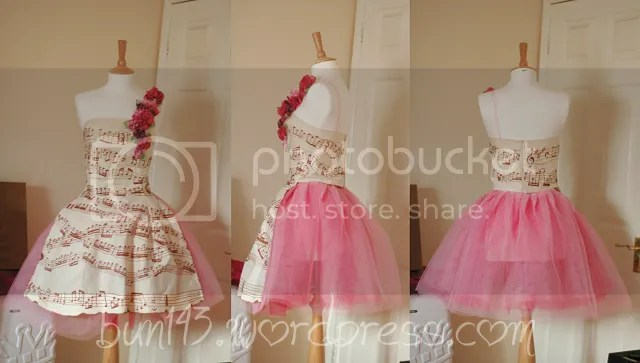 All the flowers & leaves are also handmade, I used every techniques I know to make a bunch of them haha. 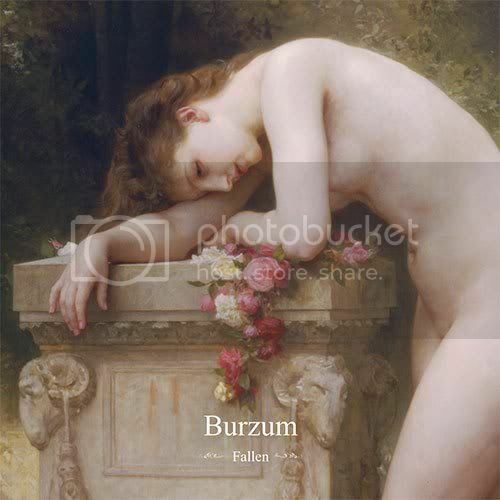 I was inspired by Burzum’s Fallen album cover that I stumbled upon a while ago. 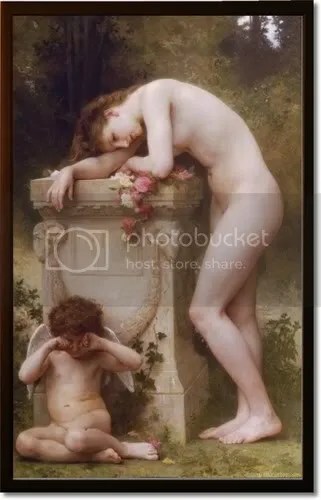 After doing some research, it turns out that is a part of French painter William-Adolphe Bouguereau’s painting “Elegy”. 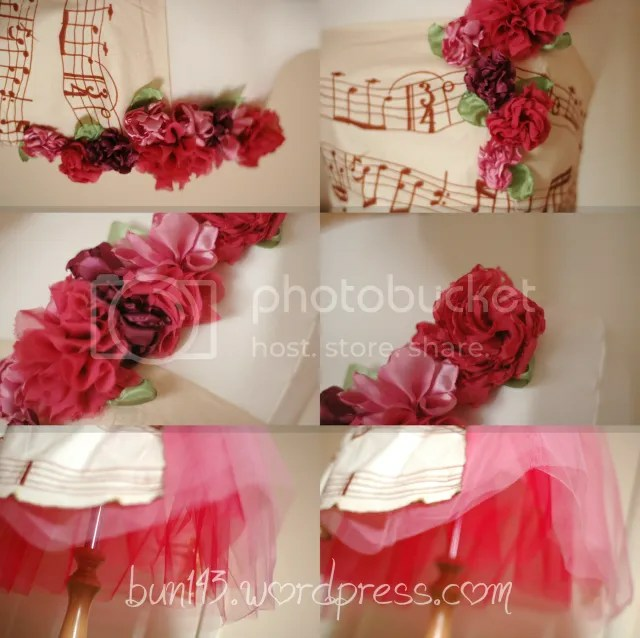 But anyway, the part that inspired me was the flowers detail, I just love how they look like they’re about to fall down half hanging. 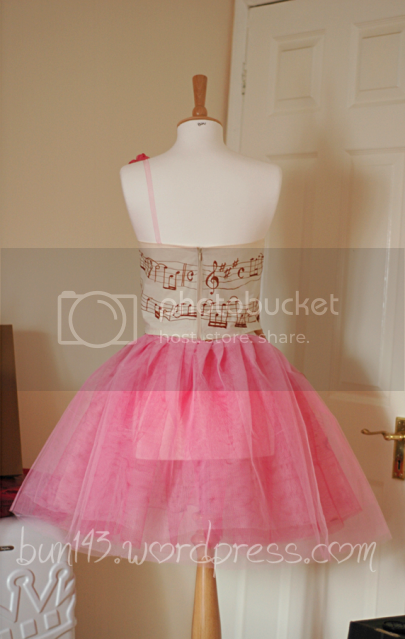 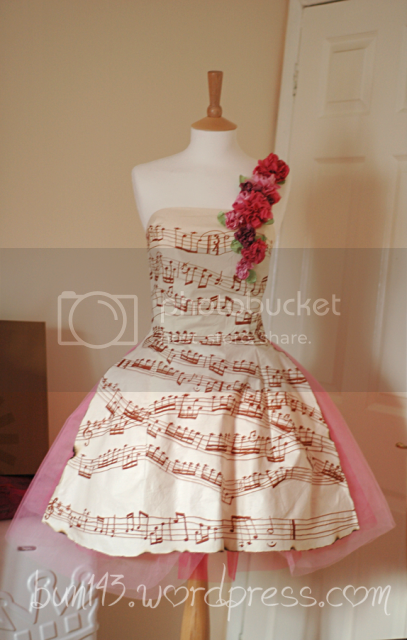 I’ve always wanted to make a dress with music notes of it, so I used a fabric pen to write them down onto the fabric. 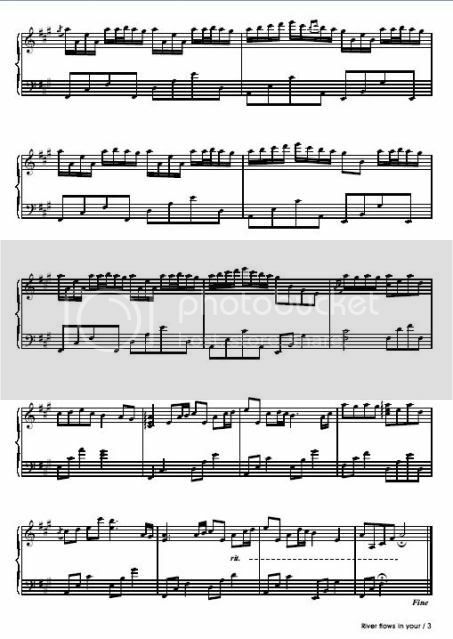 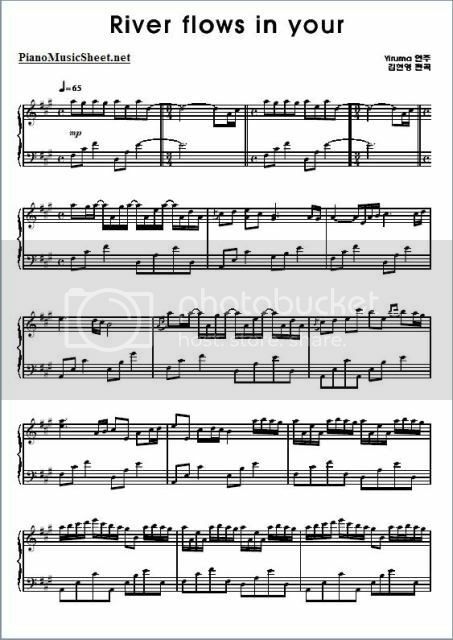 And those are not random notes, that’s the music sheet of Yiruma’s River Flows In You, my favourite piece of music.